•	Cancer – compared to how increasing numbers of European and Asian cancer clinics are dealing with this challenging health issue, it’s disconcerting to see how seriously off-target and unsuccessful the modern day, US-driven cancer treatment system actually is – despite all their hype. •	Delve into a variety of complementary concepts and treatment approaches through which to better cope with a cancer diagnosis, exploring options which expand upon treatments offered at the moment. •	Life Challenges - perhaps you’re searching for a more holistic resolution to a range of life issues? •	Are you feeling frustrated or stuck in your life, and needing some practical, self-help styled inspirational ideas? •	Do you find your daily existence - and 'life out there' - an increasingly confusing experience? If you've answered 'yes' to some of the above points, then you've come to the right place. The various self help eBooks, and ever increasing number of alternative health articles on natural, wholistic as well as metaphysical approaches to healing are sure to provide you with many useful ideas and solutions to the trouble you may be experiencing. 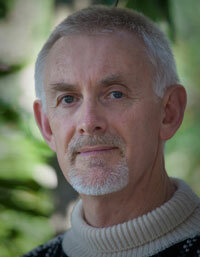 Hi, and welcome to the Home Page of Peter de Ruyter, herbalist and author, based in Sydney, Australia. •	Holistic approaches to gaining a deeper understanding of what Cancer really is, and how to better deal with this serious health problem in more productive and Healing ways. •	For those struggling with HIV/AIDS - despite being on the medical anti-HIV drugs - there are many complementary treatment approaches which offer a minimization of side effects from such drugs, while enhancing general wellness. •	Flu is something one has to confront on a yearly basis, with much controversy around whether to vaccinate or not. In one of the alternative health articles provided on this site, these issues are explored in a practical and realistic way. •	Are you finding your life filled with a constant barrage of difficult events? Tired of all the negative and critical ‘self-talk’ going on in your mind? •	Then discover the immense power of the 'Gratitude Meditation' through which to transform you life. Sounds improbable? Well, go ahead and read the article outlining this life-altering technique, which is simple to follow and easy to implement. Three decades of working as a natural health practitioner, and having consulted with thousands of clients, has allowed me to accumulate a vast amount of information and expertise in a wide range of alternative health and wellness related fields. By sharing much of this accumulated information with you, via my self-help eBooks and the many free alternative health articles, it's my hope that such knowledge helps empower your search for answers to either health issues, or other challenges in your daily life. •	Meditation – the 'how, when, where, and why' to this powerful technique, which will guide you through some easy steps to getting started on a regular basis. •	Stress Management – who isn't stressed nowadays, and needing some constructive help in this arena? In this self help eBook you'll find handy ideas for managing life's anxieties and worries. •	Sluggish Thyroid - this can be a major, underlying cause to many health problems, yet difficult to diagnose via the usual pathology tests. •	It is quite possible a 'sluggish thyroid' is the underlying basis driving many of your health issues, even though the doctors weren't able to pick up on it. This self help eBook will provide you with lots of useful and constructive insights. •	Read about a quick and simple home test, with which to find out for yourself whether your thyroid is a problem or not, while the eBook: 'Sluggish Thyroid' will explain how to improve your thyroid function. •	Learn how to help yourself via the power of your mind, using Creative Visualization techniques, and why this can help you resolve so many of your life problems - especially those pesky situations which keep repeating themselves! •	Another self help eBook on this site, explores constructive ways through which to deal with the inevitable Suffering found in life; something which all humans eventually have to face. •	The eBook: 'Lifenotes - a user's guide to making sense of life on planet earth' delves into a wide range of metaphysical or spiritual ideas, which can give so much more 'oomph' to managing this hectic, crazy and often confusing experience called Life. Knowledge is Power - it gives you the option to make more informed, and thus more constructive choices in Life. Keeping this concept in mind, I invite you to dive right in and explore this site. May the self help eBooks and free, alternative health articles provide you with an enhanced sense of self empowerment as you discover, within this information, many complementary answers to your health and life challenges. Knowledge empowers; intuition guides – both are needed to succeed in Life’s Journey. Can suffering be avoided? Unfortunately not, but this eBook explains how a simple mind-shift can become a powerful tool in helping you better manage this ever-present human experience. When your life seems stuck in suffering, insecurity and confusion, the Gratitude Meditation can be an unexpected, yet potent way of starting to undo the pain. Dealing with cancer diagnosis; where to start? So many medical opinions and directives as to what you should do. Here are some basic guidelines for those early, tumultuous days. Cancer – think outside the box; choose a complementary approach to maximize your survival. Natural and medical treatment options can work together.